News & Events | Behbehani Brothers w.l.l. Behbehani Brothers organized a blood bank campaign with the help of Salmaniya Medical Complex at the vicinity. 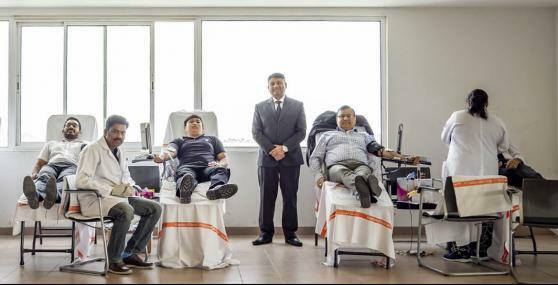 Over 80 employees turned out to give blood during the one day blood donation in order to show their support to the growing demand of blood and stand beside the people of Bahrain. 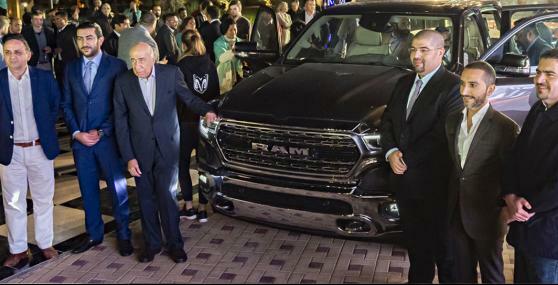 Behbehani Brothers presents the all-new 2019 RAM 1500 at the Jumeirah Royal Saray Bahrain. The all-new 2019 model has been completely overhauled, making it better than ever, offering even more capability, strength and performance. But even this monumental progress wasn’t enough to satisfy the Ram engineering team, which is why they also pushed innovation, technology and refinement to entirely new heights, revolutionising the brand’s flagship vehicle in what is perhaps its most significant redesign ever. The editors of Cars.com summed it up perfectly when they named the all-new 2019 Ram 1500 “Best of Show” at the 2018 North American International Auto Show, saying that “Ram has climbed to the top of the heap for its blend of capability, comfort, technology and efficiency.” Further proof of this is that the all-new 2019 Ram 1500 was the only truck to be named on Ward’s 2018 10 Best Interiors List alongside a short list of premium luxury vehicles. For further information or to arrange a test drive of the all-new 2019 RAM 1500, call Behbehani Brothers on 1745 9955. 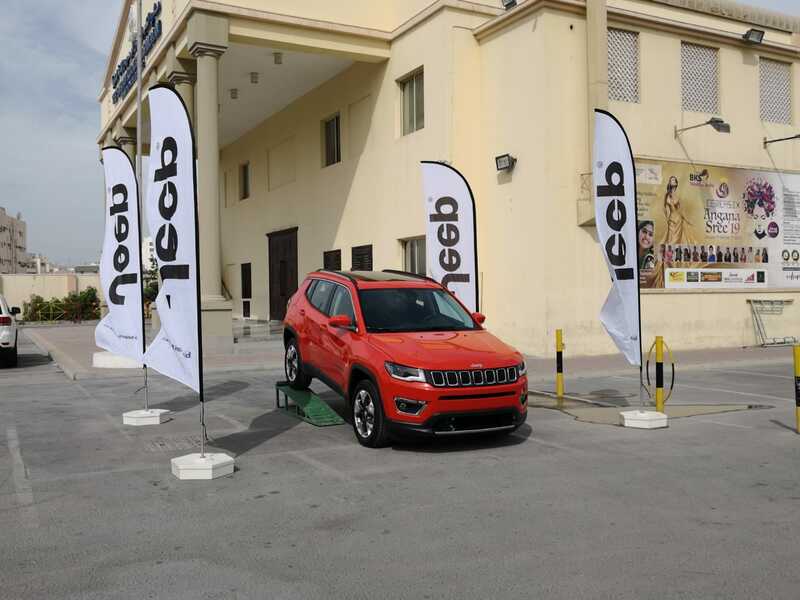 Jeep/Behbehani Brothers was the Title Sponsor of the annual Badminton Tournament conducted Bahrain Keraleeya Samajam (BKS) in association with the Bahrain Badminton & Squash Federation. The tournament was held from 14-19 January 2019 at BKS Diamond Jubilee Hall. 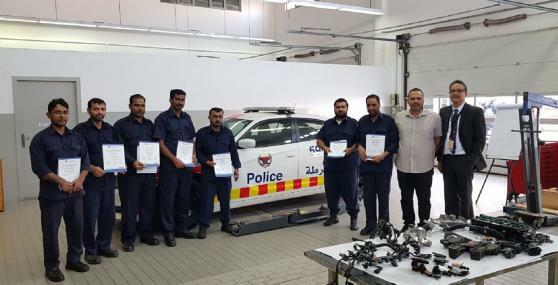 On the request of the Transport Directorate, Behbehani Brothers (CJDR) held a training course for 16 technicians from the Bahrain Police workshops. The training course – Engine Basics and Fundamentals - was held from 13-16 January, 2019 over 2 groups. 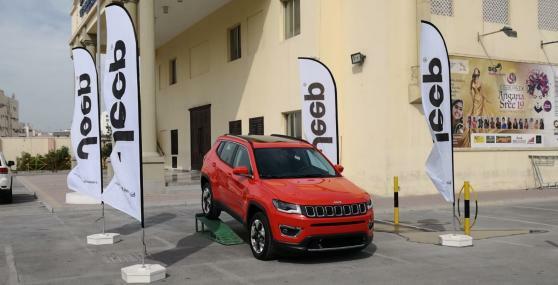 The training was conducted at the Behebehani Training Centre. The Transport Directorate manages the service & maintenance of the Dodge Chargers Police cars employed by the Traffic Police. Mr. Jamal Alhumood, Training Head, Transport Directorate joined the training and provided support as a translator for the Arabic speaking participants. Mr. Alhumood and the participants expressed their satisfaction and gratitude to Behbehani Brothers for the provided training. 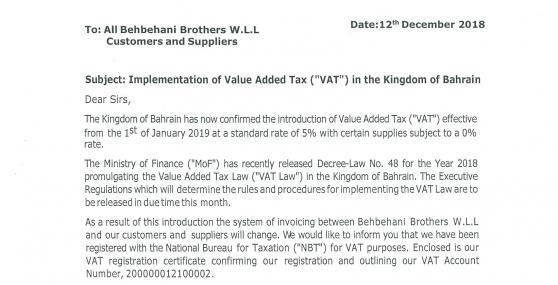 The Kingdom of Bahrain has now confirmed the introduction of Value Added Tax ("VAT") effective from the 1st of January 2019 at a standard rate of 5% with certain supplies subject to a 0% rate. The Ministry of Finance ("MoF") has recently released Decree-Law No. 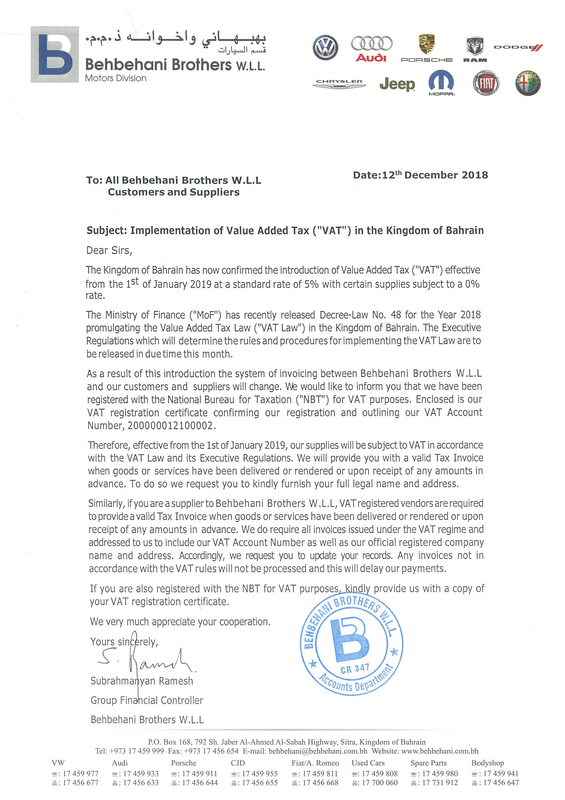 48 for the Year 2018 promulgating the Value Added Tax Law ("VAT Law") in the Kingdom of Bahrain. The Executive Regulations which will determine the rules and procedures for implementing the VAT Law are to be released in due time this month.